More than 180 video applications from 19 countries were submitted for the 2017 ESO Astronomy Camp, and the winners of the bursaries offered by ESO and the national partners have now been selected. These talented scientists and engineers of the future put forward applications of extremely high quality, all eager to be selected for a place at this year’s camp. ESO is delighted to announce that Elise Denis from France is the winner of the ESO bursary. The ESO bursary covers the full cost of the camp and the associated travel for the student. Thanks to these partner organisations and the ESO bursary, these students will have financial assistance enabling them to participate in this potentially life-changing event. All partner organisations also contribute to the camp by providing speakers and input to the programme, all stemming from a shared passion and vision for astronomy outreach. The camp — organised by Sterrenlab in collaboration with ESO, the ESO Science Outreach Network, and the Astronomical Observatory of the Autonomous Region of the Aosta Valley — will take place from 26 December 2017 to 1 January 2018 in Saint-Barthélemy, Nus, Italy. 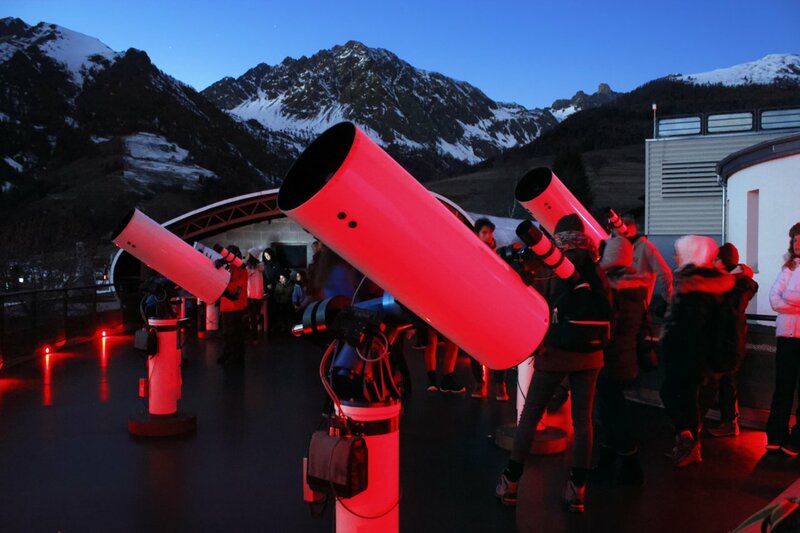 Exploring the theme of “Distances in the Universe”, the camp will hold several astronomical sessions; including lectures, hands-on activities, and night-time observations with the telescopes and instruments at the observatory. The camp follows the Responsible Research and Innovation guidelines by exposing students to real research and giving them the opportunity to interact with active scientists. Social activities, winter sports, and excursions will also contribute to making the camp a memorable experience for the participants. In total, 56 secondary school students aged between 16 and 18 have been offered a place on this year’s camp. Selected candidates have been contacted via private e-mail.